With so much outrage to the recent announcements, we thought we’d share this statement from an award-winning provider, Sian Nisbett at Dizzy Ducks in Essex. We would welcome your comments below, which will be shared with Sian, and you can follow them on twitter, or visit their website. “So, Liz Truss thinks that the answer to reducing childcare costs is to cut staff ratios? Seriously, what planet is this lady on?! With all due respect, I would like to see her hold this view after spending a day looking after 12 two year olds with just one other person to help. Regardless of the proposals in place by the government, Dizzy Ducks will not be cutting our ratios, as in my opinion it will not cut costs at all to parents: it will serve only to damage the quality of childcare on offer. I’m having no part of it. There is an argument that says if you cut ratios, then you employ higher qualified staff in place of NVQ staff. While I am all in favour of increasing “Quality” in childcare,I can’t see this working either. I see such a wide range of candidates apply to us at Dizzy Ducks. Some of the highest qualified candidates I see (who may have Qualified Teacher Status or Early Years Professional status) have very little experience in practise. Studying childcare in the classroom is VERY different to experiencing it in practise. One of my most well loved practitioners is a granny herself, with 40 years childcare experience. What is the point of a three year degree qualification, if you are then unable to engage with children in an activity, read a book with them, or encourage their development through role-play. Back to Ms Truss’s claim that cutting ratios will cut childcare costs….how can this possibly be? If I have to employ higher qualified staff, this will cost more. Personally, I think that there is a dangerous message being sent out to parents here. They will expect a big cut in their fees and that simply isn’t going to happen. Even if nurseries did go down the route of cutting ratios (which I’m pretty sure very few will) the cost saving will be minimal. Add to that, the fact that the remaining staff will be exceptionally overworked (moving from a 1:4 ratio to a 1:6 ratio means a 25% increase in workload!) My prediction would be a hugely increased staff turnover due to low morale and exhaustion. This in turn will lead to increased recruitment costs, more staff passing through nurseries and most importantly, a lack of consistency for children which damages their educational outcomes. Hmmmm…not looking so rosy now is it Ms Truss? Quality is the most important aspect of nursery care. Consistency of care for babies and young tots is crucial in the Early Years. Our staff are chosen because they have a regard for Quality and they have a natural ability to work with the very young. Some of my most incredible staff are Level 2 or 3 qualified with no intention to study for a degree. They are brilliant. I trust them with my daughter and she loves them. My entire staff of 160 are a mix of highly qualified, highly experienced practitioners and newly qualified, training practitioners. Everyone has a valid place in their nursery. Everyone contributes something to the team. Most importantly, we have happy children achieving excellent outcomes at the end of the Foundation Stage. If it ain’t broke…..
Children need to have good quality early education, of course they do, and I am not disputing the need to increase quality in some Early Years settings, especially those that routinely employ heaps of trainees and apprentices, with a massive staff turnover, low quality and poor outcomes for their children. I just can’t see how cutting ratios is going to tackle this! 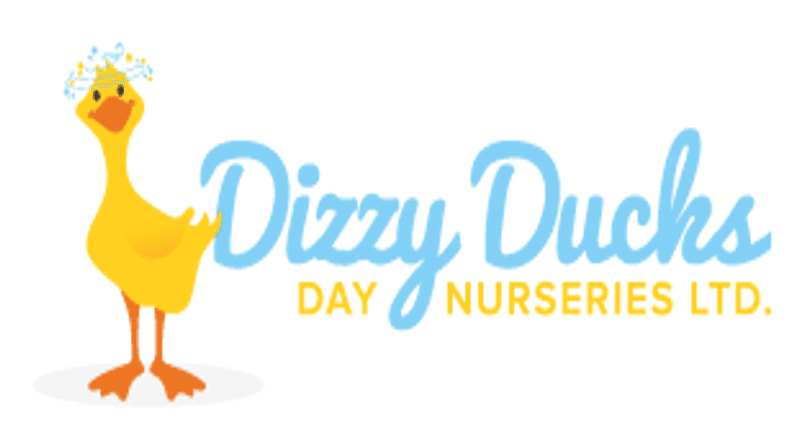 At Dizzy Ducks, we understand that babies also need love, cuddles, hugs, reassurance, hand holding, and gentle snuggles when they wake up from sleep time. They need one to one time with practitioners who they love and trust. They need to be listened to. They need to be played with. They need our time. Having and 1:6 ratio with two staff with twelve toddlers is not going to make that “Time” possible. OMG Nick do you really trust your local authority to tell you how much to charge for the service you provide when they can’t even set an appropriate free entitlement rate? We really will all be put out of business. I agree with all said, but would want to add things like the VAT argument, LA nurseries able to reclaim the rest of us not able. Also the amount of £243 with regard to salary sacrifice which has remained unchanged for 10 years. Try to place the blame everywhere accept on our doorsteps, we are not the reason for the high cost of childcare. The proposal to promote higher qualified practitioners and raise the child to adult ratio levels for under 2 year olds to 4 to 1 and 6 to 1 for 2-3 year olds, will not work in reducing cost. Higher qualified staff will demand more salary, which will not save in employment expenses. High ratios will mean less staff required to run a provision, causing more practitioners out of work due to fewer jobs. Young children are not programmed to thrive in large groups- they need to be nurtured by primary carers. Nursery environment is not a natural environment for under 2’s and children can become stressed if not able to bond and settle with their Key person, raising the ratios will only cause more stress not giving staff quality time with young children to bond and make them feel secure. This will have an adverse effect on their personnel and social wellbeing which will affect their ability to learn and enjoy their time in education throughout their young lives as well as causing a detrimental effect on their confidence as they grow into adults. Raising the child to adult ratios will also cause more stress for the practitioner, resulting in more time off sick. Speaking from experience in this field and having worked at the coalface, I can tell you that here in Hampshire most Nurseries and Pre-School practitioners are already qualified to level 3 or above, Level 3 which is equivalent to an A level. •	Cause stress for the children and staff. •	Will allow larger or corporate nursery companies to reduce their staffing level, causing more unemployment, not a reduction in cost. •	Detrimental effect on younger children, affecting their Social and Emotional wellbeing which will affect the development. Our setting will not be working to new child to adult ratios if introduced, because we feel that education especially early years education should be based around learning through play and should be fun. Demonstrating that education is enjoyable, which promotes in its self a desire to learn and develop new skills. I would like you to consider letting County Council’s or authorities to set an upper level of childcare cost. This can be achieved through carrying out surveys of all setting costing level for different age groups across their County. From this the County Authorities can set an agreed upper level of Childcare charge for their County, which reflects the financial economic environment of that County. They can enforce it through the agreement each childcare provision has with them, which is signed each year for Government EYE funding. This would reduce many different levels of childcare charges, set childcare fees which reflect the area or County. This will not force up unemployment, or cost the Government or Local Authority extra money in training fees to ensure that all practitioners have GCSE English and Math. Through you Mark, I would like to invite Elizabeth Truss MP, Minister for Education to spend some time within our Nursery in Hampshire to get a true reflection of what issue we have. •	Reduce Business Tax for Childcare providers, Childcare is looked at being a profitable business so is charged a higher level of Business Tax. •	More tax relief through Vouchers for working parents, Incentive to work. •	As stated above let Local authorities set an upper level of charge reflective of the area. •	Give Government EYE funding for under 2’s children of Parents who are working and on low income, incentive to continue to work. I would be happy to meet with you or any other Minister to talk about my views and that of other Childcare providers / practitioners. We get great enjoyment out of our work; with each day bring some special moments from our children within our care. The last thing, childcare rates are not expensive when considering that if you require any other profession to do work for you i.e. Plumber, Gardener, and Electrician etc. you would be expected to pay around £25 – £35 per hour. Compare this to looking after any parents most valuable asset within their lives, their children, on average would cost around £4.5 per hour in Hampshire. Thank you for your time in reading this letter, and I hope to hear from you soon. In the ‘Will you change your ratios?’ box it would be good to have a third box for those who are undecided or considering the proposal. I feel the comment made by Sian Nesbitt is so very negative and despite making valid points – which many are likely to share – is very dismissive of any change. To take one example if the proposal does result in parents being given choice then I do not see this as a bad thing. I also feel the comment regarding those who hold higher qualifications being less able in practical terms is something which really just applies to the first few months as it would do for anyone taking up a new job and so this would also be the case for those who hold a lower qualification and that comment is a little unfair and overly protective. This kind of thinking or attitude in nurseries creates ill feeling towards those who hold a higher qualification rather than marrying the various skills of people in a team building spirit. I am unsure about how we will proceed but feel it is my duty as the Registered Person to look in to what might be possible to see if I am able to reduce fees for parents without comprising care or children. “Very young children do not need academics” I am sorry Becky but I do believe that my Early Years Professionals have benefited the children we care for at our nursery. The passion and sense of worth they have achieved through gaining the experience and knowledge of post degree studies has lead to them providing the setting with something which I had not thought possible: Staff who are prepared to deliver on quality, passion, knowledge and expertise on low wages. These are young women who are trying to support themselves with the responsibilities of paying a mortgage/rent, running a vehicle and providing for their future with pension contributions. My Early Years Professionals (I have two and one in the making) could not have hoped when they came into childcare that the opportunity would exist for them to gain a degree. When that opportunity arose they jumped at the chance and we staggered their entry into degree and EYP training in order that we could support their personal goals. They respect and acknowledge that our support has come at a price and that we would not now, or at any time in the near future, be in a position to support the salary of three post degree employees. But this has not deterred them and (so far) we have not lost them to the state (where they would earn a great deal more) a clear demonstration of their commitment to the setting and each other. I believe there is a place for ‘academics’ but this does not mean that we do not value those staff who have worked hard to achieve NVQ3s and 2s. If we could keep this healthy mix of those who possess the desire and aptitude for academia and those who are content to continue to work within their capabilities we could continue to provide a quality service delivered as a mixed ability team led by highly qualified and knowledgeable staff each with a salary matched to their job role. As put by Jade Wiles I agree that “the mixture of practitioners should be varied for many reasons” and I believe this is the only way forward. It is amazing that the ratio’s have changed a few weeks before they announce the funding levels for next years NEF that will now include 2 year olds. The previous funding levels in many counties was set higher for 2 year olds because of the higher staff ratio required however the government are just about to cough up NEF funding for them and all of a sudden the ratio is in their favour! I am really interested in the funding levels to be announced in my county in the next month and can’t wait t see how this is used to justify the drop in NEF rate for them and if it even impacts the 3 yr old NEF???? We already pay no attention to the ratios being an EYP myself and with 5 of my staff of 11 on their foundation degree and 2 working towards their EYP we already work at 8/9 staff to approximately 25 children most days from 2 to 12 and this will not change. I value quality as do most settings in our sector as very few (albeit misguided) go into this sector for the financial rewards and therefore this will have no impact other than to see our NEF change!!!! I would like to pick up on a comment made about what’s the point of doing a three year degree if you can’t engage with the children. I agree but not all degrees are purely academic – I am in my second year of a foundation degree and we all work with children on the days we are not at Uni so that’s 4 days a week for most of us as we attend Uni once a week. Nearly all the people on my course are very experienced and most of us are mature students doing the degree because we have worked with children and want to gain a degree at the same time. I think most Early years degrees are practical based so there’s a mix of academic and experience! I have years of experience but I have learnt so much on my degree which I now put in to practice. Has the government thought through the fact that what happens when a single childminder goes to the toilet, cooks meals, has a little one ill or suddenly has a minor or indeed major incident happen, its crazy also to think that it will reduce costs also, some will just use this as a means of additional income without evaluation. Sian, some excellent points very well made. I run a village pre-school (and have done for almost 15 years) and I do this on an NVQ3 and lots and lots and lots of experience as I joined the pre-school 19 years ago when my own children were young. I do not have the time, or energy, to study for Early Years Professional Status because I am much too busy running my village pre-school, however, if I did, on the day I qualified, I would be able to look after 13 children. Just madness! I am not prepared to change my ratios for any of my age groups, and I always ensure that we run well within them. That way the staff have time to interact with the children, treat them as individuals, listen to them, nurture their strengths, build their self confidence and independence and above all, have fun with them. If children of two, three and four can’t have fun, then there is something seriously wrong with this world. I also fail to understand the cost argument: surely candidates with higher qualifications are going to want higher wages, so whilst there may be fewer of them, they will cost more. And, as you said, a qualification gained in a classroom does not necessarily make you the most suitable person for the job. Very young children do not need academics, they need caring, enthusiastic and fun-loving staff who have their very best interests at heart. I would always want to employ the candidate whose personality most suited the role rather than the one who had the shiniest certificate! On reading the document published it states that only those setting with highly qualified staff will be able to riase ratios. The raising of the ratios is not the answer to reducing costs to parents. I totally agree with the fact that raising ratios will have a huge impact on the staffing in nurseries that do raise the ratio. Childminders will not be able to look after more children as their numbers will stay at a maximum of six children. It is the age ratio that will change with them meaning that they can look after two under one’s at anyone time removing the need to gain special permission from ofsted in the instance they are approached by parents who have twins. I do feel that staff wages which is one of the causes of many people working in the early years feeling undervalued will not be valued as many of the savings of reducing staff will not necessarily be passed onto the highly qualified members of the working team. The early years are important and the experiences the children have shape them as they become adults. Another concern I have is that if schools wish to look after even younger chidlren than they do at present they will not have to register separately as an early years provider. What do people fell about this? This is definiately getting children “school ready” from an earlier age rather than as it shoud be for all children “READY FOR LIFE”. When talking about higher ratios are we going to abolish paper work to be able to cope with this. The new EYFS promised less paper work but in fact we are doing more. We really struggle to to do all the paper work involved and look after the children in our care; look at the new reports that go out see how many sections have been added! Parents in our setting are against the new ratios, they have said they want ratios the same so the excellent care can stay the same. Are fees going to go down because of increased ratios, I do not think so, also nursery staffs wages are very poor. Are these going up with all the responsibility the positions hold and all the extra responsibilities that used to be done by outside agencies which they now do? We do this job because we care and we want the time to give the children in our care all the love and support they need. People will not come to work in childcare if the system carries on in this way, with all the extra stress sickness will hit the roof with staff unable to cope with the work loads. I totally agree with all of the above comments and the Vat comments. The government should think of paying for staff training to give us better quality staff but they have taken the cheap way of doing it and put it on to us owners. Sarah , how odd is that my nursery is Kiddlywinks too ! I have an outstanding nursery with outstanding staff with a wide range of sector and education based qualifications. We could have 1–13 ratios already but we don’t. We will not compromise quality and child focused time by increasing ratios . Our young children need to be nurtured as individuals , how else will they grow into empathetic , emotionally balanced and positive citizens ! Being a number in a pack will not nurture the best characteristics in a child. In my view the change is for the benefit of political purses. Two year old funding will cost dearly at the present rate , less staff required then the argument will be that less funding is required. Tax credit losses have impacted on family child care costs along with changes in other benefits. I for one will not be changing our ratios I value my staff and my own pedagogy to be accountable for the disservice we will be giving to our future generation . Wow…..I think we are Kindred spirits…..My thoughts entirely. At Kiddywinks we will NOT be raising ratio at all and I feel like you have said that ‘some’ settings will, this will be detrimental as the settings that will raise4 ratios are the settings that shouldn’t. I also agree with the two tier issue that will undoubtedly happen, but is this not the conservative way??? To enable cost cuts Central Government should allow nursery schools to claim VAT at present we are VAT exempt. All boroughs should receive the same amount of NEG funding and the equivalent to schools. “By the way why do schools receive more money for their NEG children?”. Why should private daycare settings also have to pay tax on their NEG funding at present we claim £3.34 per hour for NEG children plus pay tax on this amount (the world has gone mad). For the two year old funding and NEG funding why is it term time only, all full daycare setting loses money as we still hold the place for the child over a half term as the children accessing the funding are the most vulnerable. There is so much more the Government could do to help. For over 25 year olds NVQ qualifications have to be paid for by the setting or the employee. WHY, WHY, WHY??? I totally agree with all you have siad Sian..i shall NOt chnage my ratios…not fair to my excellent staff..and would put our most precious children at risk….. Babies have a ratio 1-3, but has any 1 person tried to pick up 3 babies under ‘normal’ circumstances, let alone under ’emergency’ circumstances? I struggle with one baby & a pre-schooler. As for qualifications, I feel it is important that the lead person should be suitably qualified in both ‘child’ related areas AND people management, however the mixture of other practitioners should be varied for many reasons. There’s some SMASHING staff at Dizzy Ducks who might not hold the highest of qualifications, but have captured my kids hearts & made me feel happy to leave them there whilst I’m at work, surely that is as valuable!!! 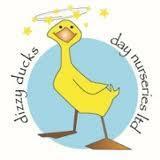 Keep up the great work Dizzy Ducks!